We often mess with papers pieces and some unpleasing and randomly twisted paper patterns in the kids rooms, they cause a great disturbance. To remove this disturbing phenomenon from home we have a plan of DIY duct tape paper cube to give a secured behavior to all papers in kid’s study room. We have achieved this one of simplest DIY duct tape crafts in much less time and have taken use of ordinary and cheap home stuff around you. 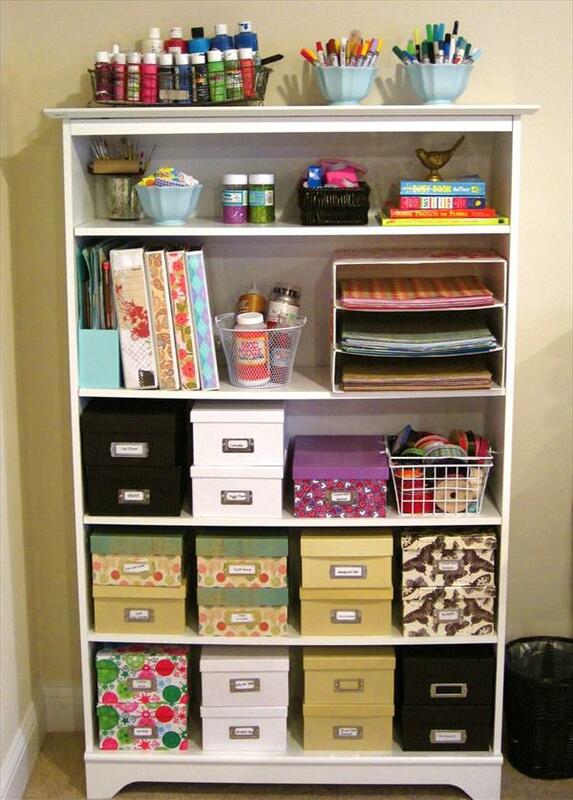 This project is highly workable and obtainable and can give you a ledges setup for paper storage without any heavy expenditure. Just grab three cardboard boxes and make them covered nicely with duct tape and get them held tight in tiered shape at the end and you are just done to have your target. This was very wise approach to ordinary and useless stuff to find such an useful object for your bookshelf. Just choose a plane working space and floor the cardboard box on it and start overlapping tape on it, take good care of edges in this overlapping process. Now place a scrap book paper at the mid and add the border with white colored duct tape to get some fine contrast and sharp boundary. 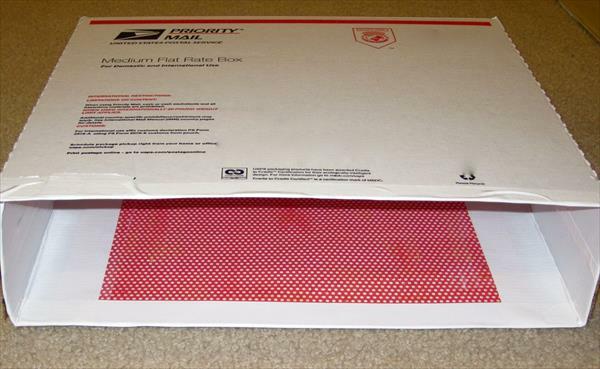 Overlap the whole box with duct tape and cut down the uneven and unpleasing edges of the duct tape and fold your box back up to an enclosed shape. After getting folded the box wrap it with some beautiful gift paper cover for charming and graceful looks to it and prepare such a 3 boxes with same pattern. 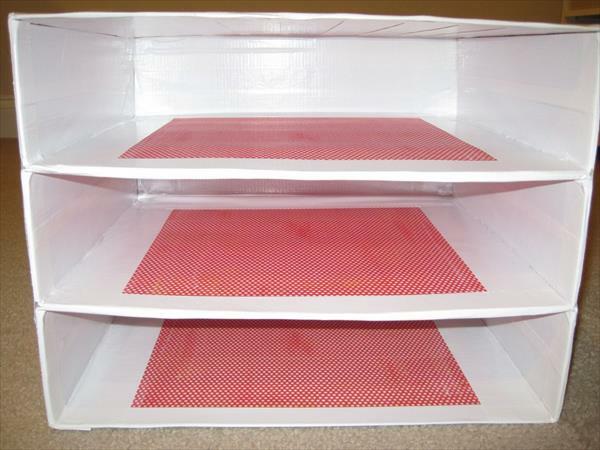 Now add them in tiered shape on one another and you will get three composite compartments to store paper in them. Make it positioned on our study table or in bookshelf and enjoy a functional behavior which has been brought to you through common and useless stuff around you. 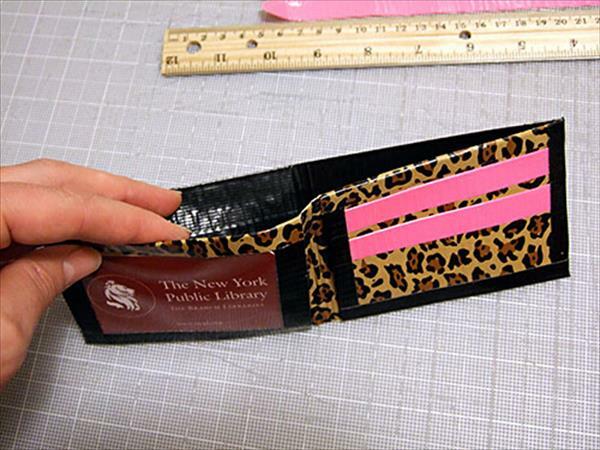 You can also plan such a great DIY duct tape crafts but it takes some of your creative thinking.